109 96 Coulter Crescent, Oakfield (MLS® 201716065 ) Marchand Homes - The picture perfect family home. This high demand home and lifestyle opportunity will be loaded with an abundance of value added items that are a staple in all of Marchands Homes such as heat pump technology, Energy Efficient and Energy Star Certified, Low E & Argon windows, a white shaker style kitchen, soft cabinet closures, a deluxe trim package, premium siding colours, hardwood staircase, open joist engineered flooring system, 40 year LLT shingles, a 7 year Atlantic Home Warranty and the list goes on and on! This home will also feature a custom tiled shower in the ensuite and engineered quartz counter tops as well. 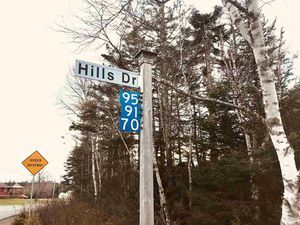 Oakfield Woods is a wonderful semi rural family first subdivision with very close proximity to the amenities of Fall River, Enfield, Elmsdale and just a short drive to Halifax International Airport and walking distance to Oakfield G & CC. Call today to discuss this very functional and cost effective plan and Marchand Homes remarkable all in program. 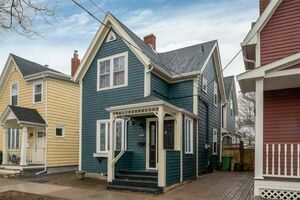 Numerous model homes available throughout Halifax for your viewing pleasure.